The subject here in the 55th article in our Top 50 St. Louis Cardinals Prospects for 2018 series is our view of the organization’s best minor league prospects by position. At the end, all top 50 members are shown by position in an organizational prospect depth chart. The selection process is very straightforward. We have already unveiled our top 50 prospects in the system via the “50 Days, 50 Nights, 50 Prospects” series. Putting together this year’s All-Prospect Team is as simple as culling the top-ranked player at each position from that top 50. The annual The Cardinal Nation St. Louis Cardinals All-Prospect Team includes 12 players – eight position players, including two corner outfielders, plus four pitchers – left and right-handed starters and relievers. Listed are each player’s overall ranking in the top 50, age and highest level played in 2017. For the second consecutive year, seven of the 12 members of the All-Prospect Team are new. (Newbies are denoted by an asterisk * above). Carson Kelly makes his record sixth consecutive All-Prospect Team, one at third base and the last five as the catcher. That is two years longer than teammate Alex Reyes and makes the catcher our unofficial team captain. No other current member has made more than two consecutive teams. Back for a second year are center fielder Harrison Bader, the organization’s 2017 Player of the Year, and left-handed starting pitcher Austin Gomber. In 2016, Bader was listed as a corner outfielder behind since-traded Magneuris Sierra. In a bit of an unusual situation, neither of The Cardinal Nation’s top players in 2017 made the All-Prospect Team. 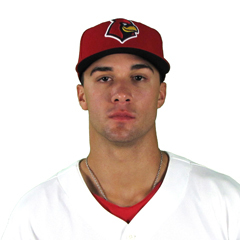 Pitcher Jack Flaherty, also the Cardinals’ top choice, is behind Reyes among right-handed starting pitching prospects. TCN’s Player of the Year Andrew Knizner is the second-ranked catcher after Kelly. The seven new members of the team come from different places. 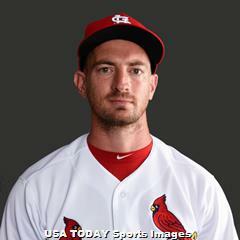 The new starting middle infield – second baseman Max Schrock and shortstop Yairo Muñoz – joined the Cardinals from Oakland in the Stephen Piscotty trade. Outfielder Tyler O’Neill was also a trade acquisition – from Seattle. 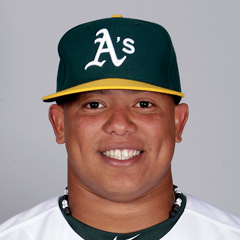 Corner outfielder Adolis Garcia was a Latin American free agent signing last spring. The other three were Cardinals draftees, but they come from very different periods. The 2017 draft is represented at third base by 11th-rounder Evan Mendoza. The new relief duo of lefty Ryan Sherriff and righty Josh Lucas, who both made their MLB debuts in 2017, have two other firsts. Not only are they members of their first All-Prospect Team, they each made their very first top 50 prospect list despite having been drafted in 2011 and 2010, respectively. That is persistence! All-Prospect Team members from the previous dozen seasons are included for comparison purposes with our TCN Cardinals Minor League Pitcher and Player of the Year in those years listed in bold. Our 2017 choices were top pitcher Luke Weaver and top hitter Eliezer Alvarez, the latter since traded to Philadelphia for less than one month of the services of reliever Juan Nicasio. The asterisks (*) denote those cases in past years when either the Pitcher or Player of the Year (or both) was not ranked as the top prospect in the system at his position in the following off-season. Joining Alvarez in leaving the 2017 All-Prospect Team via trade is Sierra. Two others graduated to the majors, third baseman Paul DeJong and right-handed reliever Sam Tuivailala. Three 2017 All-Prospect Team members have experienced a decline in their prospect fortunes, at least in relation to others, leading to their falling off the list. All three still remain in the system, however. Outfielder Randy Arozarena actually had a very good season, but was passed by newcomers O’Neill and Garcia. Shortstop Delvin Perez has yet to progress toward his first-round potential, and takes a seat in favor of Triple-A shortstop Muñoz. Lefty reliever Corey Littrell’s career progress stalled. With the ascension of 27-year olds Lucas and Sherriff, first baseman Luke Voit surrenders his 2017 crown as the “old man” of the Top Prospect Team, at “just” 26 years of age. In fact, the overall team in 2018 is much older than ever before, signaling a significant wave of the organization’s best prospects nearing St. Louis – and a potential gap after. This marks the first time in the last three years that there is no teenager on the squad and the only time the youngest player is as old as 21 since these lists have begun. The average age of the team members is the oldest ever, at 23.8 years of age, up more than a year and a half from 22.1 last year. The level of play reached by the average player is listed as Triple-A, one level higher than last year. Mathematically, in both years, the average was slightly above the respective levels. So as a whole, this group is one full level more experienced than last. In another indication of the more-experienced 2018 All-Prospect Team, half of the 12 reached the majors during 2017, as many as those having played some with St. Louis as the prior two years combined (four in 2016 and two in 2015). At the other end of the spectrum, just one of the new 12 finished at Class-A this past summer and none in short-season ball. Last year’s team had two Class-A members and one short-season representative, but all three left the team for 2018 – Alvarez, Sierra and Perez – and no one from the lower ranks stepped up to replace them. I will close with this year’s “Runners-Up” – the 37 players who made the 2018 Top 50 Prospect List, but not this All-Prospect Team. The following list also provides a quick visual snapshot of system-wide balance at all positions behind the 12-man All-Prospect Team. Top prospect depth in the infield has improved substantially year to year – in fact it doubled – from five last year to 10 in 2018. It was accomplished more via trade and the organization’s prior investments bearing fruit, with just one of the 10 having been drafted in 2017 – #30 shortstop Kramer Robertson. The wealth of center fielders remains the same as in 2017 with six behind Bader. It could be as high as eight, considering two of three corner outfielders listed here – Arozarena and Carlson – could easily have been placed in center, instead. I put them at the corners to indicate where they played most often last season. On the pitching side, right-handed supply remains very strong, led by no. 2 prospect Jack Flaherty, but the quantity of left-handed starters is an obvious and growing problem. Two years ago, there were seven lefties in the top 50. Now, there are just two. Further, the other lefty after Gomber, Ian Oxnevad, has fallen four spots in the overall top 50 since 2016. Though only four relievers made the top 50, as long as there is a plentiful supply of starters, bullpen shifts can always follow. Again, the left side stands out for the wrong reason. We will dig much deeper into the potential long-term ramifications of this talent mix in the next installment of this series, “Behind the Numbers”. In the next article, we dive into the numbers behind the top 50, then take a look at our best and worst selections from 2017, the top prospects by level of play, those players that left the rankings from last year to this and finally take a different look at the top 50 – based on potential only. Also, join the daily discussion about each prospect at The Cardinal Nation’s free message board. 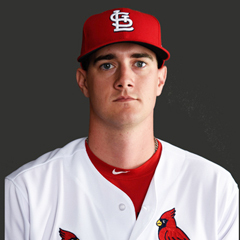 If you enjoyed this article, please consider joining The Cardinal Nation to receive the most comprehensive coverage of the St. Louis Cardinals from the majors through the entire minor league system. 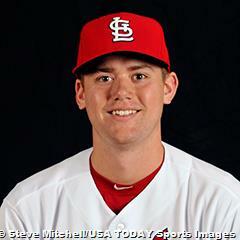 Previous Post Cardinals Add Minor League PairNext Post Could the Cardinals Manipulate Alex Reyes’ Service Time?